Herbaceous peony catalog by colors for a great garden display! When looking for peonies to make your garden more colorful, you might want to consider choosing the herbaceous garden peony flowers. These garden plants come in many shades of color, making your backyard pretty beautiful. If you are in the business of selling flowers, you can really boost your business with these peonies as they are usually in high demand. Colorful herbaceous peonies are available in five categories: coral peonies, pink peonies, red peonies, white peonies and yellow peonies. Some feature two colors, making them incredibly beautiful. For example, the Butter Bowl, Doreen, Firelight and Seashell peonies have pink petals and yellow stamens. Other peonies like Top Brass, Green Lotus, and Raspberry Sundae peonies are multi-colored! If you want to buy garden peony flowers, we have a wide selection. 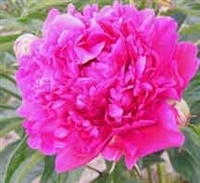 We have pink herbaceous garden peonies which include Edulis Superba, Elk Grove and Princess Margaret. If you are looking for red herbaceous flowers, you can go for Scarlet O'Hara, Fairly Princess, Charm, Nippon Beauty or Paul M Wild. If you want to buy peonies with some white color, you can consider Duchess de Nemours, Requiem, Elsa Sass, Miss American or Princess Bride. 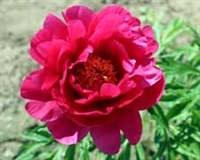 Buy herbaceous peonies at great prices here at Fina Gardens.